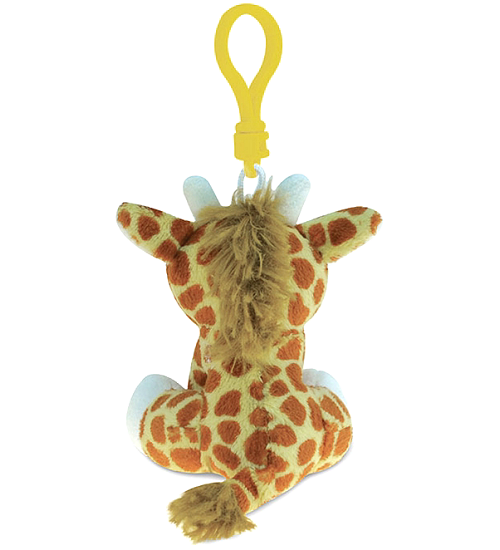 This cute little giraffe plush backpack clip stuffed animal is the perfect take-along pal. With soft spotted fur, cream hooves, horns, and accents, and fluffy light brown mane and tail tufts, this stuffed giraffe backpack clip has amazing sparkly yellow eyes in a sweet face. 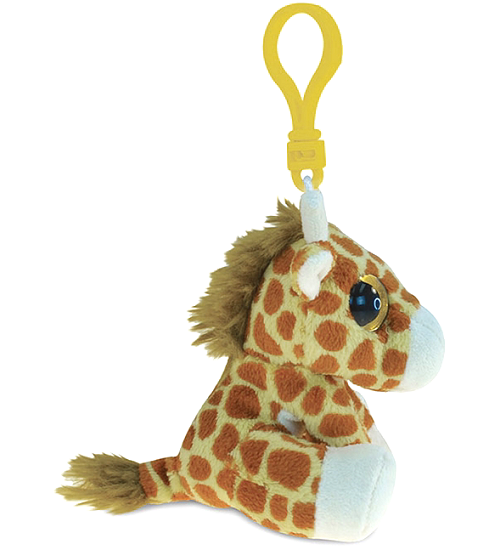 Complete with yellow backpack clip, this plush giraffe clip on animal is great for on-the-go adventure as well as birthday treat bags, prizes, and giveaways. 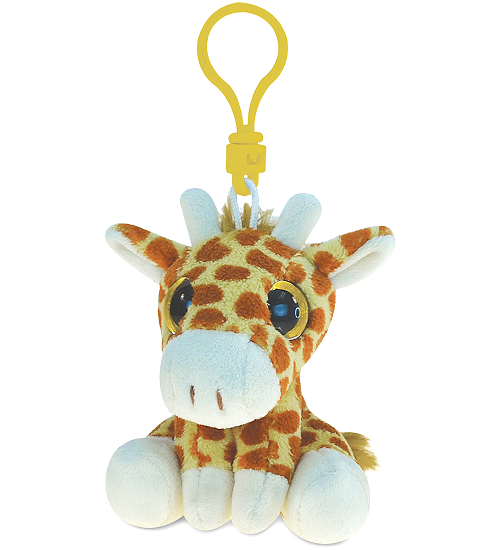 Raffie is an adorable plush giraffe with soft spotted fur and an inspirational message of Keep Looking Up. 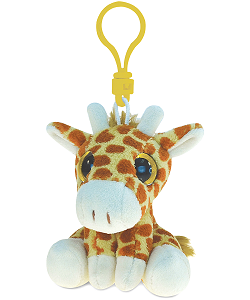 This adorable Huggers plush giraffe has soft orange-spotted cream fur and plush-covered snap bracelet arms. This cute little elephant plush backpack clip has soft gray fur, pink accents, and sparkly pink eyes.